Since relaunching the iconic Farmall brand in 2004, Case IH introduced a new generation of compact all-purpose machines that tackle tough chores — from loading and mowing to rotary cutting and clearing snow. Developed to meet the needs of mixed farms and professional producers, these tractors pack a ton of value into a compact size, not to mention plenty of “big tractor” features. 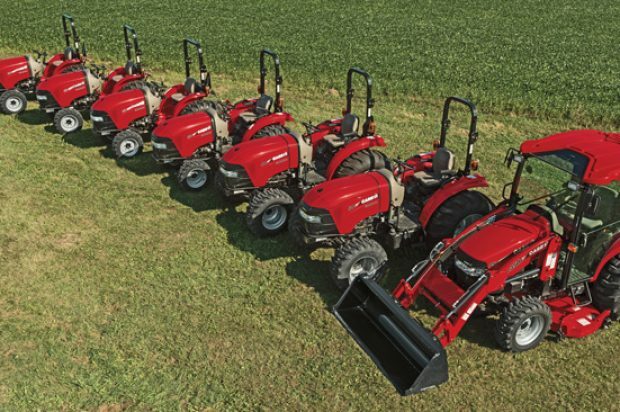 If you haven’t checked out the compact Farmall lineup lately, get familiar with one of the industry’s most complete offerings. Compact Farmall 30A and 35A tractors are rugged, reliable machines that tackle a variety of chores. Simple operation ensures all controls are within easy reach, while a roomy operator area provides excellent visibility for every task on your list. A three-cylinder, 1.5-liter turbo diesel engine meets stringent emissions standards without compromising power or fuel efficiency. At 32 and 36 engine hp (PTO: 27.4-30.7 hp), these engines provide all the power you need for loading, blading, tilling, mowing and more. Plus, an electronically controlled, indirect fuel injection engine creates greater lugging power to get you through tough situations like mowing heavy loads or cutting thick grass. Compact Farmall 30C, 35C, 40C and 50C provide operator experience and best-in-class features in a compact package, says Case IH. Four Tier 4 B/Final-compliant models range from 32 to 46 engine hp (PTO: 26-37.3 hp). A three-point hitch lift capacity up to 2,756 lbs is ready to handle implements of your choice, and the fully independent PTO with electro-hydraulic engagement allows for simple, no-effort engagement every time. Tackle any task in comfort with all-around visibility from the operator’s seat, along with improved rear visibility to the drawbar and an enhanced interior layout that quickly turns novice users into expert operators. New cab models for the Compact Farmall 35C, 40C and 50C give you more comfort, convenience and standard features in any weather condition. Wide doors on each side of the cab provide easy access to the large operator platform, while standard features like an interior sun shade, front windshield wiper and multiple rear-view mirrors provide all-around visibility. 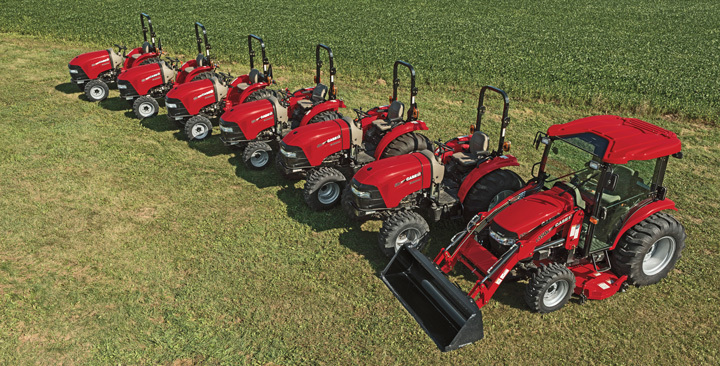 Compact Farmall 45C CVT and 55C CVT put the lineup’s premium capabilities to work in a simple, easy-to-operate package. Along with engines ranging from 45 to 53 hp (PTO: 34-41 hp), a unique Tier 4 B/Final emissions package requires virtually no maintenance or downtime to regenerate, and the efficient CVT transmission provides more power to the PTO compared with other transmission designs. For more information, visit caseih.com.